Using our many years of experience and resources, we offer quality products, on-time production, and installation to fit most business needs. From concept to completion, we will incorporate your specific needs and ideas into your project. We can use your artwork and layouts, or we will custom design to meet your needs. 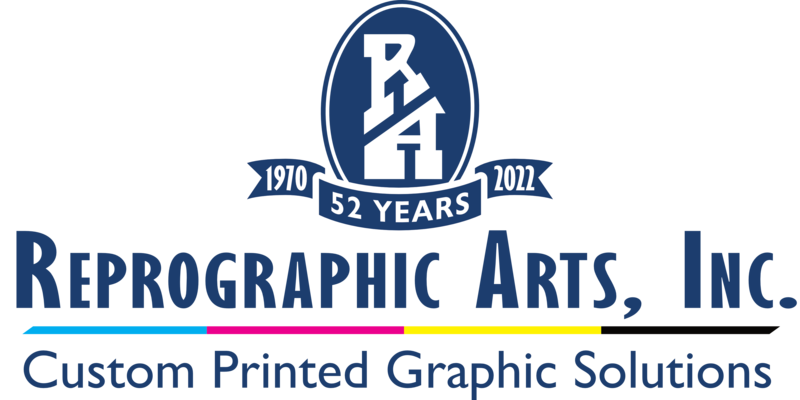 Check www.reprographicarts.com signs, banners, screenprint & embroidery. We are Northwest Indiana's premier reproducer of wide format plans. We offer superior service and quality at a competitve price. Fast and precise turnaround is our trademark. Whether it's scanned hard copies or electronically submitted we got you covered. Check www.raplanroom.com for a list of current jobs bidding. Member of the Reprographic Arts Planroom Network, call 219-872-9111 or email planroom@raplanroom.com for assistance.